You’ve just been involved in a car accident that was not your fault. You received a call from the other driver’s insurance company and it is their loss adjuster on the phone. They just need to talk about the accident for a minute or two and want to know if you don’t mind making a recorded statement. Is there anything wrong with answering their questions on tape? Yes. There’s plenty wrong with that. Car accident claims are tricky affairs. If you are not up to par, you may find yourself as collateral in the bewildering tangle of the claims process. You should absolutely abstain from making recorded statements to insurance companies after an accident especially when you were not at fault. We tell you important reasons why in this post. The loss adjuster calls and says they just need to hear your account of the accident to “firm up liability”. They have heard the account of the other driver and are just waiting to pay you. You would be wrong if you believe them though. This is because the insurance company is primarily out to help itself, not you. It’s a company, whose intent is to maximize profit. As far as they are concerned, every dollar paid out to people like you is one fewer dollar from the company’s bottom line. Due to this, their top priority is to reduce the number of claims paid out, including yours. In order to reduce the number of claims paid, the company has to refuse claims. How do they do this? By looking into the statement, you give them and finding inconsistencies in it. You would probably have given a statement to the police officer at the scene of the accident or in your deposition as part of a lawsuit on the accident. They can take your statement and compare it with these other statements in order to comb for inconsistencies. And they are likely to find them. This is because you may not always remember everything you have said before. They don’t need a lot to refuse your claim. They can point to the inconsistency and say your claim is probably untrue and cannot be relied on. They may also pressure you into giving wrong or implicating answers, especially on things you’re not sure of. They could ask their questions in such a way as to trick you into making responses that hurt your case. Another reason why you should avoid giving recorded statements to insurance companies is the need to keep your cards close to your chest. 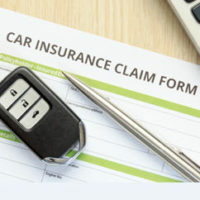 The insurance company could, after obtaining your statement, try to convince you that you don’t have a very good claim. They could make an offer of a settlement that is almost certain to be far below what you can get. This is a trap, and you’d do well to avoid it. You would most probably be able to get more if you speak to your lawyer before making any statement or accepting any settlement. It is also possible that you could have aftereffects of the accident that would not be immediately obvious. They could take days to show and if you have settled by that time, no provision can be made for such aftereffects. 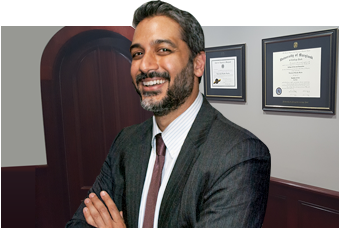 If you or a family member was seriously injured in a car wreck caused by someone else’s carelessness and their insurance company is trying to get a recorded statement from you, contact the Law Office of Hammad S. Matin, P.A. today.